We will show you how to choose the right settings for publishing SCORM content in Articulate so you can import it to Learnyst. We recommend user to use Articulate Storyline for generating TinCan API contents. Once the content is created by you, publish the content to generate an uploadable zip file. Select LMS option on left. 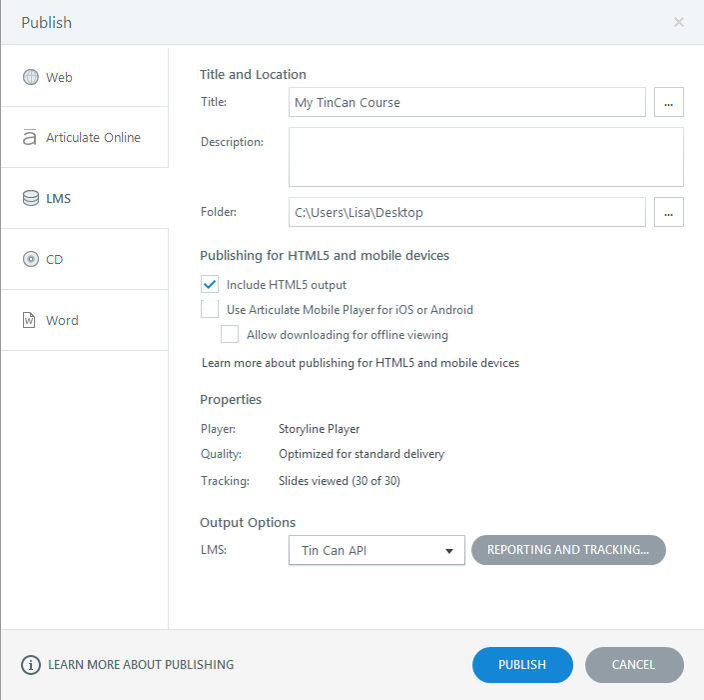 Fill in Title, Description, and select the LMS Output Option to any of the provided options. Make sure You check "Include HTML5 Output" only. 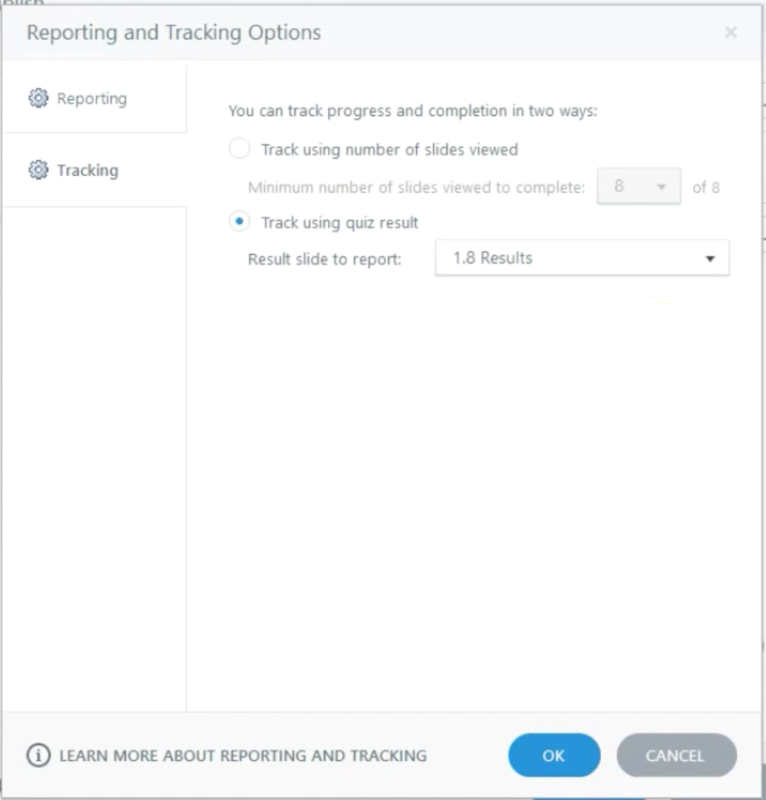 Click the “Reporting and Tracking” button and a new window will open. Ensure that same LMS is selected here. Provide Title, Description and Identifier (which should be unique across the courses). Leave launch URL empty. Tracking helps you to track user progress. If your content is having a quiz, you can track progress based on the result (passed or failed) in the particular slide or marks obtained. If your content doesn't have a quiz, then tracking can be set on the number of Slides Viewed. 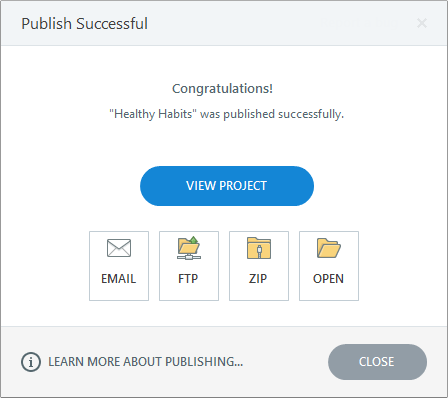 Now click on Publish to publish the SCORM and select zip. Upload the zip on Learnyst SCORM | TinCan lessons and Learnyst will take care of the rest. 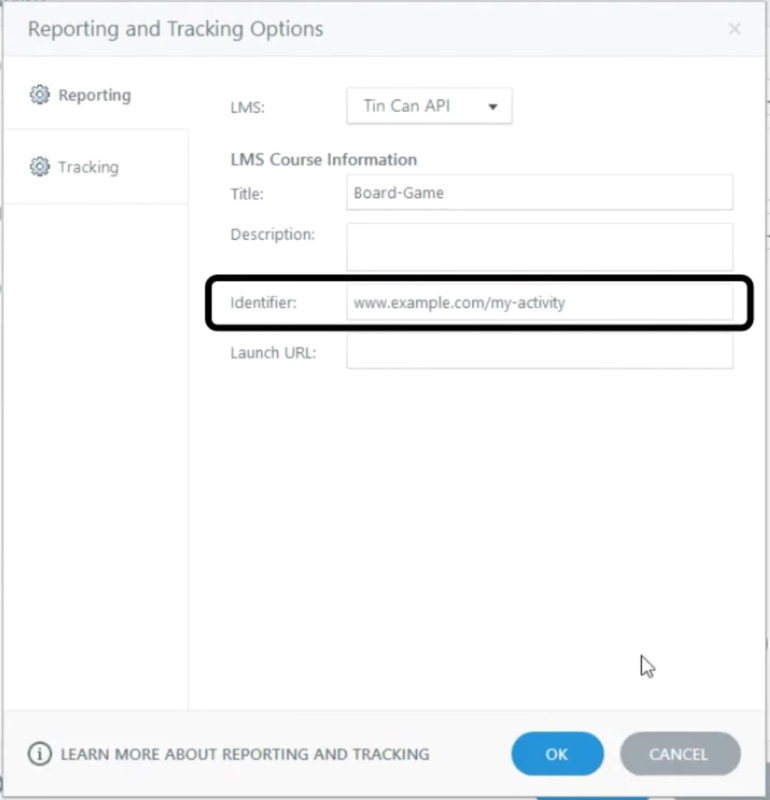 Note: Currently Learnyst does not support tracking and reporting option. Stay updated with the feature.